I’m pretty vocal about my love for renting. Apart from one teeny blip last year (when we tried – and failed – to buy a house… I blame wedding fever), I’ve lived in rented properties since I was 18. I love the freedom renting brings, the lack of responsibility for boring things like boilers and the fact I can live somewhere I’d never be able to afford to purchase. Yay for renting! I don’t believe that renting is ‘dead money’ or that I’m living in someone else’s home but I do recognise some of the downfalls of renting, like trying to make a property you don’t legally own, feel like your own. After 10 years of living in rented accommodation, I feel like a bit of an expert on the subject. So here’s my handy guide to decorating a rented house, flat or apartment – tips, tricks and recommendations to take a space from generic to gorgeous. First things first – when it comes to rentals, some things are not worth fixing. If it’s not your house, don’t spend loads of your own cash doing it up for someone else’s (eventual) benefit. In other words – make sure it has the right foundations before you sign the tenancy. For me, that means original features (I look for beams, fireplaces and a great front door… never, EVER UPVC), neutral decor (white walls, cream carpets or the holy grail of rentals – exposed floorboards) and a good kitchen and bathroom. Everything else can be tweaked and styled, but these things should be as you want them. When you’ve found a place that meets your basic requirements, you might want to consider going unfurnished. It really depends on preference and budget, but I’ve always hated other people’s furniture choices and rentals are almost always rife with Ikea’s cheapest offerings. If you really want to make a rented property your own, fill it with furniture you’ve chosen yourself. It makes a huge difference and you won’t ever have to worry about sitting in another person’s sofa groove. 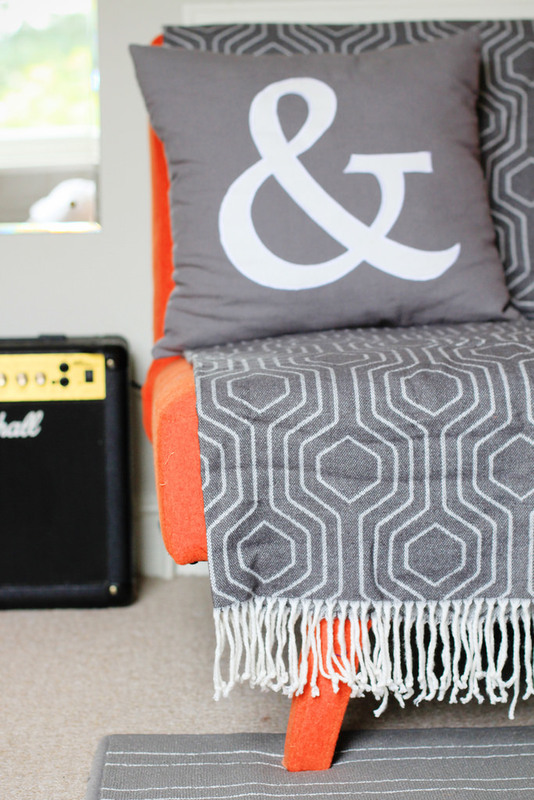 Cushions and blankets and rugs, oh my! Soft furnishings will add warmth and character to even the starkest space. Add a couple of patterned cushions to your bed, throw a blanket over the sofa arm and stick a rug on the floor – instant texture, colour and cosiness. I’ll admit, I have a slight candle obsession. I love them probably too much, and have about 5 on the go in each room of the house. But they really do make a huge difference to a plain room – look for coloured holders that complement the shade of the room, or stock up on cheap pillar candles at Ikea and display them in groups. 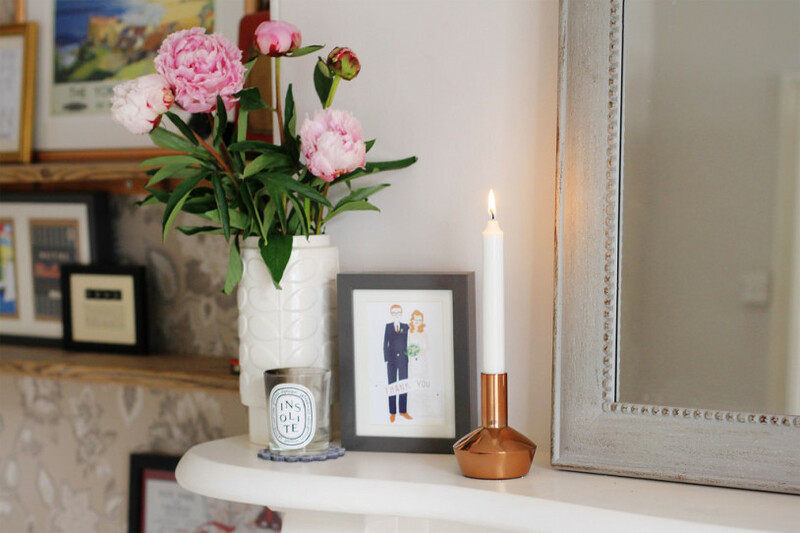 I also love tapered candles in interesting candlesticks, like these copper ones from H&M Home. Don’t spend your money on faffy ornamental bits that will collect dust and look dated in 3 years (hello, shabby chic) – use your own belongings to create interesting displays in each room. 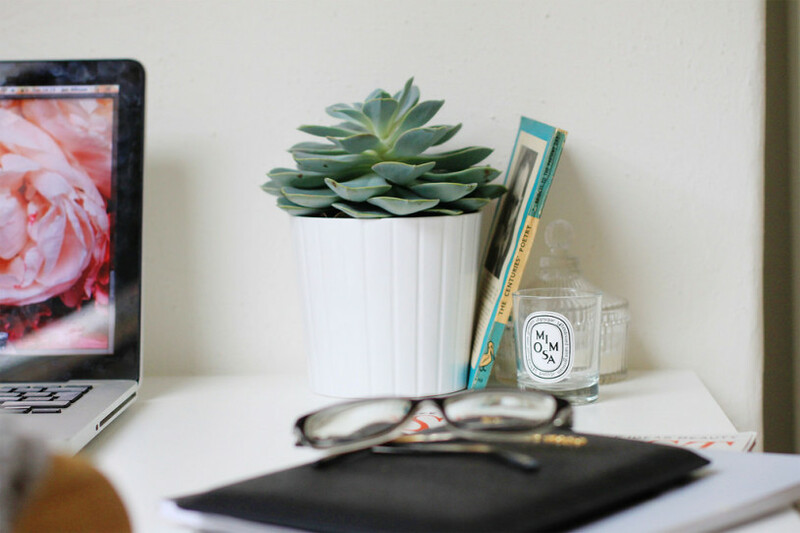 Books, magazines, plants, jewellery, pretty makeup, framed photos, old tins – whatever you’ve got that you find aesthetically pleasing, put it on display rather than tidying it away in a cupboard. Rentals usually come with curtains in place, and until recently I’d always accepted that and moved on. But changing a pair of curtains is one of the easiest things to do in a rented place and I don’t know why I didn’t try it before. I recently swapped three pairs of tired cream linen curtains for much nicer ones, and the results are amazing. 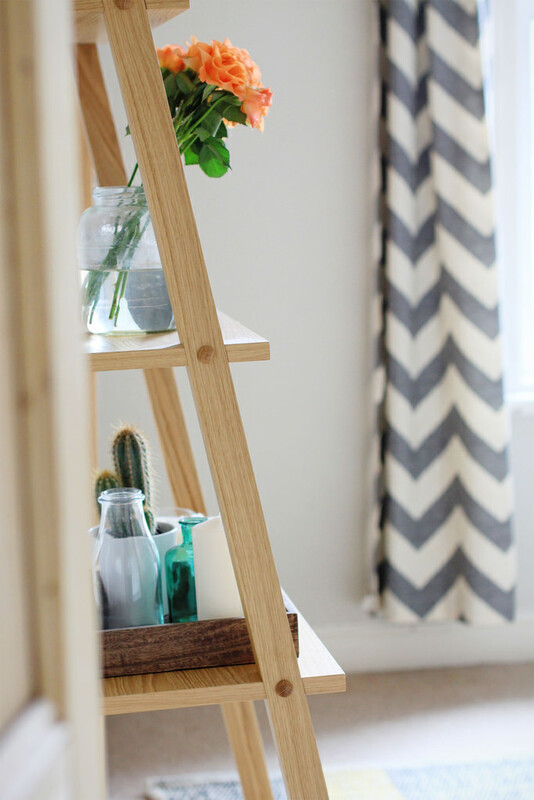 The zig zag curtains we have in the bedroom liven up an otherwise-neutral room with zero fuss. Plus, if you move out it’s just as simple to put the old curtains back in place. This is a bit of a controversial one, as I know most tenancy agreements have a clause about damaging the walls. But in my 10 years of renting I’ve always hung pictures, and the maximum I’ve ever been changed for wall damage was £10. This might not be your experience and you might not want to risk it, but hanging pictures makes such a difference to a home and holes are easily fixed with Polyfila and a bit of Tipp-Ex. To minimise the damage, try a picture ledge from Ikea (two holes = whole load of pictures on display) or use JML’s handy no-nails picture hanger, the amazingly-titled ‘Duzzit’. Flowers are the solution to most problems in my life. There is nothing more pleasing to the eye than a big bunch of blousy peonies or some sweet tulips just opening up. I love flowers and try to have them in every room – display them in old jam jars or empty candle holders for a thrown-together look. A flower habit can be expensive (Elton John knows that struggle) so pick wild flowers (read this first) rather than buying from supermarkets, or just go for plants instead – they last longer and cacti are so on trend right now. My last tip is not for the fainthearted. It also might not be possible, so you MUST check with your landlord/landlady first. 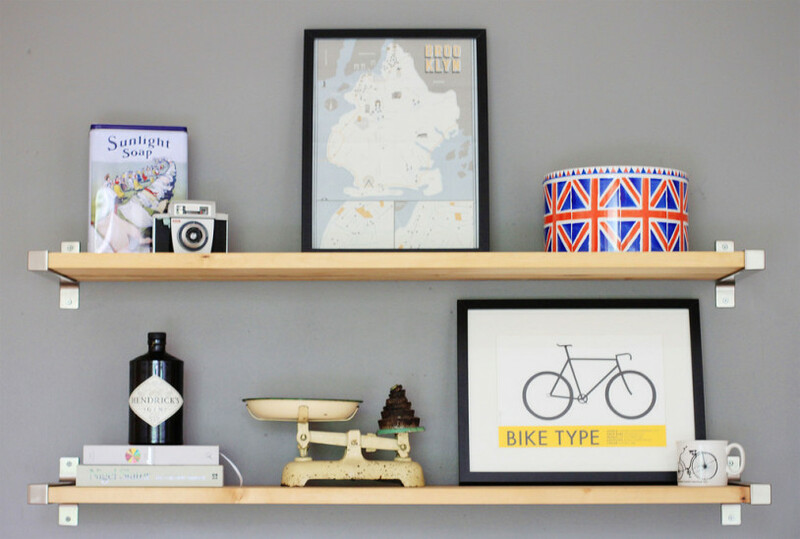 A ‘statement wall’ is a quick and easy way to inject a bit of life into a simple room. Rentals are renowned for their magnolia walls – much better than 70s wallpaper, but they can get a little samey. On the other hand, you might find yourself stuck with someone else’s idea of a ‘statement wall’, like we were – bright pink in the kitchen. Rather than put up with it, I asked our landlady if she’d mind us painting it – we’d buy the paint, do the hard work and ensure there were no spillages. She agreed and now we have a lovely grey wall where the pink used to be (it’s Farrow and Ball’s ‘Mole’s Breath’, btw). Always worth an ask! 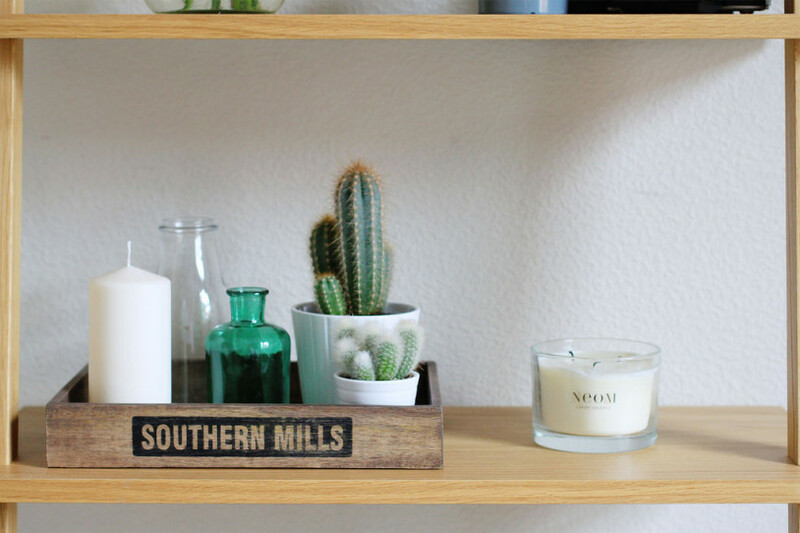 With all those tips in mind, here are my (much researched, tried and tested) favourite places for great homewares that’ll make your rented place feel like your own home. I will never tire of this place. If you’re looking for something specific this is not the shop for you, but for general browsing and unusual finds, this is the one. It’s also AMAZING for half price designer candles – the NEOM one in shot above was £20 (rather than £40) from HomeSense. I only discovered H&M Home, which I think is just online and not in-store, when Kate wrote this excellent post on her own homeware recommendations. It’s a brilliant site with lots of lovely home accessories at H&M prices. Think mid-century, Scandinavian-inspired pieces, like these copper candlesticks and this wooden tray. An oldie but a goodie. Ikea gets a bad rap for being a ‘cheap flatpack’ kinda place, but if you look carefully there are some gems to be found. It’s also really great for plants – all of my cacti and succulents (and their pots) are from Ikea. Dunelm isn’t top of my list, but it’s a great stop for home furnishings and lighting, especially if you’re on a tighter budget. They have a fab range of patterned cushions and I recently picked up a copper ceiling shade for £14.99, which is almost identical to Habitat’s £50 version. Oh, West Elm. How I adore you. 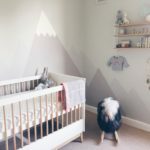 This American homeware brand recently opened up in London and their website now ships to the UK – happy days! They have that mid-century hipster house thing down – our much-loved zig zag curtains are from West Elm, as is our bedding plus the kitchen tray and salt and pepper pots in that last photo. It is pretty pricy so I try not to visit too often as far too tempting to spend a fortune! 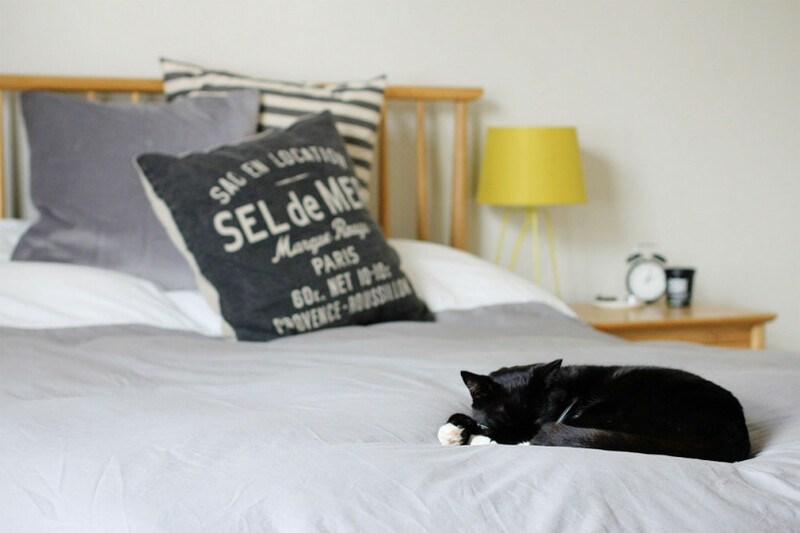 I was really sad to see Habitat disappear from our high street as I think it’s a beautiful brand – the products are great quality and although the prices are high, they are reasonable for the level of quality. I tend to shop when there’s a sale on and it’s worth signing up for the Habitat newsletter, as they often do online discounts and flash sales. The rug in our bedroom is from Habitat, as are the grey and yellow dining chairs in the kitchen. 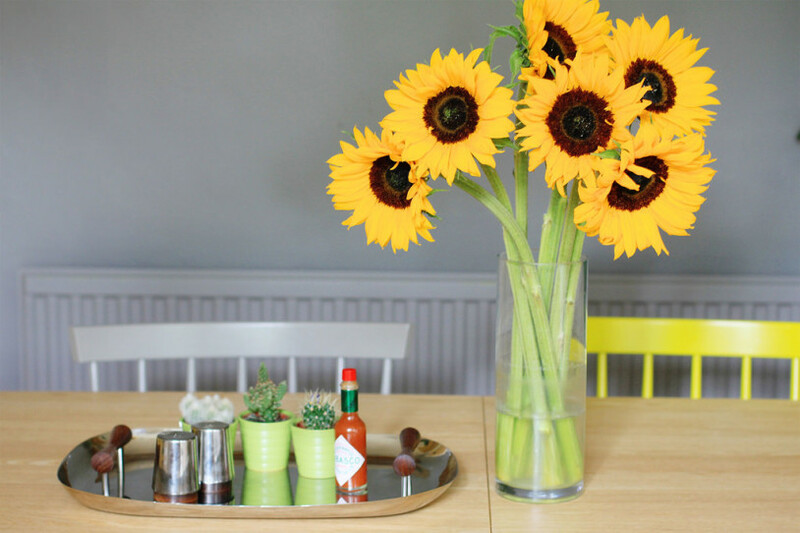 So there it is – my guide to decorating your rented property and making it feel like home. Any more tips to share, fellow renters? Great post! 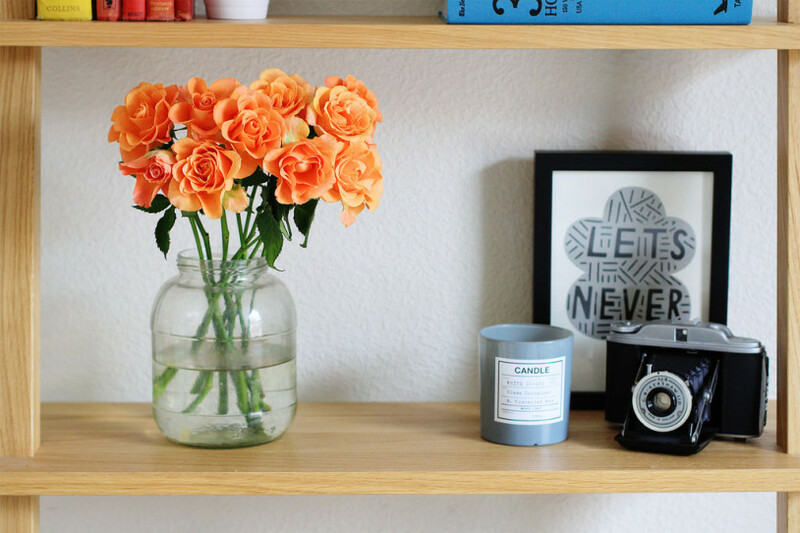 As a long term renter too (though I have lived in my current place for 6 years so I kind of forget I don’t own it sometimes) I love your tips for personalising your rented space. Totally agree with hanging pictures, it’s never caused me any problems. Personally, I like buying rugs – they not only look nice, they protect the carpets! I tend to pick up a new one every now and again on the Urban Outfitters sale. Also I love second hand furniture, it’s a much cheaper way of getting that chic Scandinavian look that I love, my fave ever piece was a 1960’s sideboard I got for £20. We have our vintage Bang and Olufsen turntable on it and it’s probably my favourite thing in my house. Even if an old piece needs a lick of paint it is so much cheaper than buying new. The good thing about buying stuff like that is that when my husband and I eventually do decide to buy our own place (we’re not quite mentally or financially prepared for that yet!) we’ll already have lots of nice furniture to put in it. Unlike some of my friends, who have been living at home until they buy and have had the nightmare of having to try and furnish a whole house from scratch straight away – buying a house is expensive enough as it is! Your house looks so lovely and really seems to reflect your personality. I’m a huge fan of rugs too, Marianne! I long for exposed floorboards but at the moment I’m enjoying breaking up dull beige carpeting with some colourful rugs! Also totally agree with your tip about buying second-hand. So many of my home accessories (vintage cameras, suitcases, old books) are from boot sales. Love this post! I lived in a rented flat and really hate it, but I think it’s mostly because its not our furniture. The flat has been furnished in the cheapest way possible. The bit I hate the most is the sofa, it’s a cheap fake leather one from Ikea and it sheds little black bits EVERYWHERE! Every time you sit on it another huge lump of it falls off, it drives me crazy! We’re hoping to buy next year but if for whatever reason that doesn’t happen I think we’ll definitely go for unfurnished and get our own furniture! I actually think I had this sofa in my first student house. I remember the shedding. AWFUL! Good luck in your new place, Glasses Girl (love the name)! Yes! Great tip – a fresh lick of paint, even if it is just magnolia, always makes a difference. Oh no Becky, nightmare neighbours AND a useless agent! What a combination. Hope it gets better for you soon. Great tips Jen! I’m a renter too and constantly feeling frustrated with the lack of my own furniture. We can’t decorate under our rent agreement either so it really is all about finding your own ways! This is soooo helpful, I’m at uni at the mo, and my house still doesn’t feel my own even though I live there! Will deffo be trying some of these! So glad you enjoyed it, Nikki! Jen, you truly shared an informative post. Mostly I love the decoration for rental especially flowers and plants. Thanks for sharing this useful information. I’m totally pro-renting too and have never had any problems making my place feel like my own (problems with estate agents and landlords aplenty though unfortunately.) If the rental market was more like it was in Europe where long-term lets that offer more stability and security and stricter landlord/agent regulations existed I would be happy to rent for the rest of my life, the obsession with owning and making capital just isn’t my style. The supermarkets are my favourite places to pick up homewares, Sainsburys and Waitrose have some amazing bits in at the minute, and its super cheap! As far as statement walls go I’ve never been able to get permission to paint from my landlords but I have invested in some wall decals from http://www.uwdecals.com, they have some really lovely designs I got the gold polka dots for my office and its made such a difference to what was otherwise a plain magnolia box! Mel, I could moan for hours about the lack of tenancy security in this country. It is SHOCKING. Maybe something for another post?! I love supermarkets for homeware too, great shout! Waitrose especially is great, our crockery is from there and I love it! your place looks absolutely gorgeous! Fantastic post! It’s making me want to redecorate. 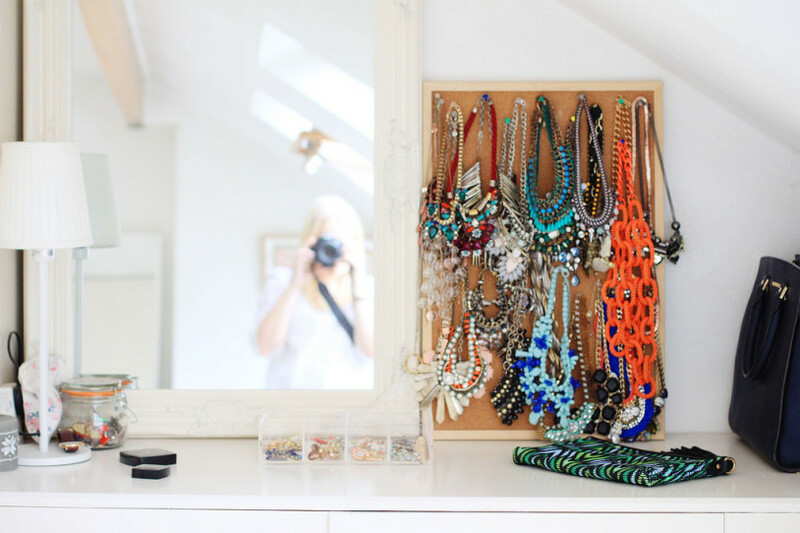 I always like reading your fashion posts but do so enjoy insights into your home. Personally I prefer being a homeowner but that’s possibly because my husband and I are DIY/reno addicts and we haven’t had good experiences renting – careless landlords, poorly looked after properties, overpriced rents and don’t even get me started on letting agents and their ‘admin’ fees! But you make sound arguments for renting and it sure looks like you’ve chosen a beautiful place to live. 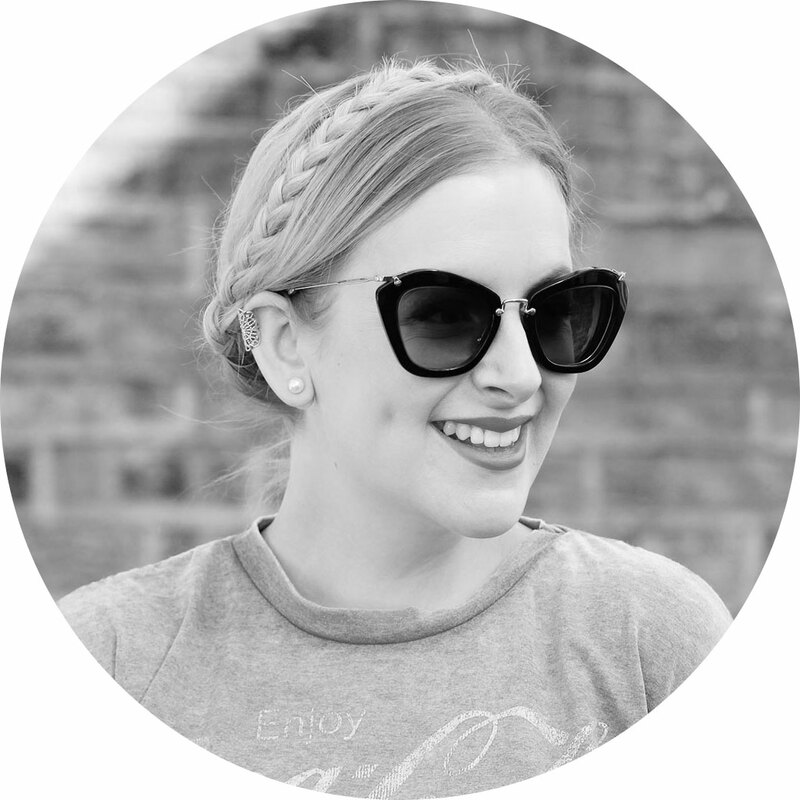 Love all your little accessories – I can’t tell you how many links I clicked through and will probably buy several of the things you have! Totally understand, Anna – I think if we ever manage to save the massive deposit we need to make buying affordable, we’ll definitely do it. Our house is lovely but I’m desperate for a dishwasher, which would require a full-scale kitchen refit! 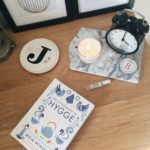 Brilliant post, I love all the snaps from around your home. It annoys me people who claim renting is throwing away money, it’s such bull, we are free to roam the earth, us renters, and we don’t have to pay for expensive repairs. Oh and also, H&M home is stocked in certain stores – I’ve only seen it in London stores though. I’ve just made a bulk order from there! Oh no Hannah, that’s so awful! I can’t even imagine how violating it must feel to go through that. 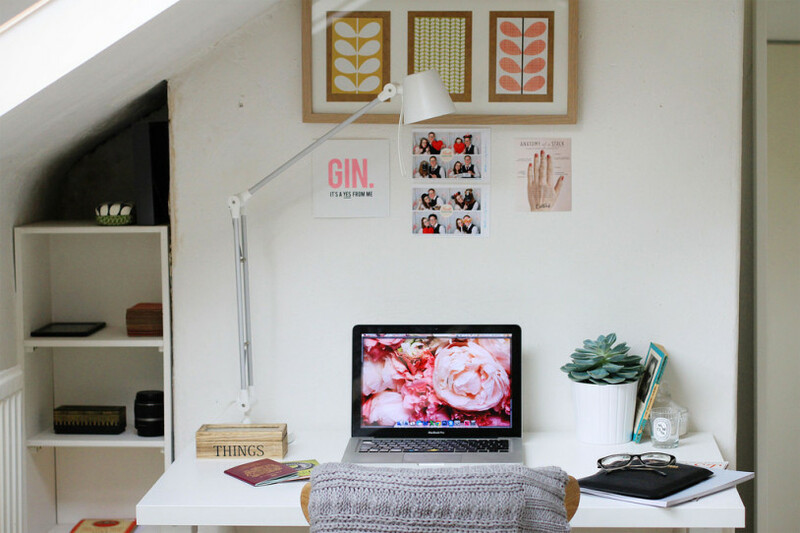 Using your own stuff as decoration is such a fantastic tip – it really does help to create a homely feel! You have an amazing eye for decor – your home looks so cosy and stylish! Sad to say I own my own home and it doesn’t look anything like as nice as yours… I guess I need to hit up some of these retailers! I also saw Kate’s post, I envy both your homes. You really have an eye for interiors! Thanks so much, Joanna! 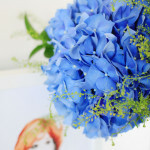 I love Kate’s interior style, she’s one of my fave bloggers for home inspiration. I love what you’ve done with the space, so creative yet so personal! This is the exact inspiration I have been looking for recently. 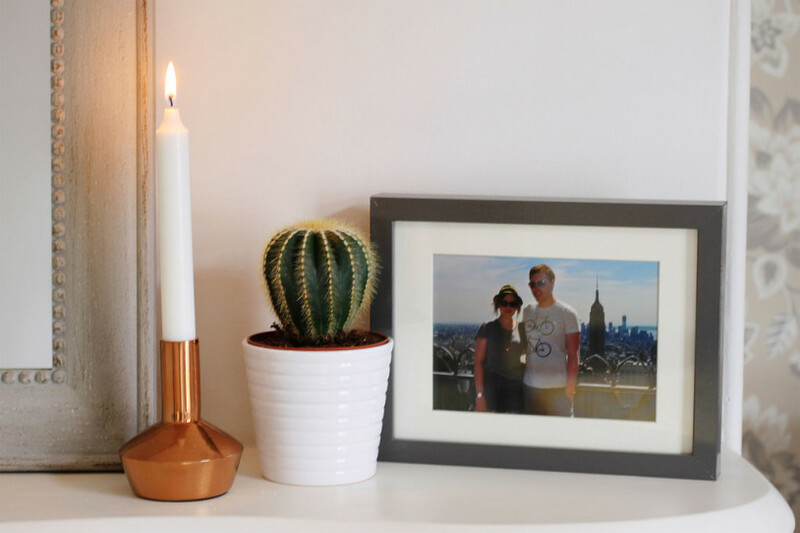 Since my boyfriend and I moved in together a year ago to our lovely rented flat, we have been trying to make it homely … on a budget. All of the walls are the same neutral tone and as much as Id love to paint one or two, im not sure our landlord would be down. Little tips to remember such as texture and cushions are fab! We are home owners who are seriously considering selling and moving to an unfurnished rental in an area we could never afford to buy. 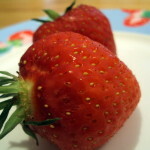 It would release our substantial equity and I believe improve our lifestyle. When I tell friends they say things like ‘oh I much prefer owning my own home’ I sometimes have to refrain from answering ‘unless your mortgage is paid off it’s the lender who owns the house and the minute you can’t pay the ‘loan’ they will happily repossess it. Thanks for helping me realise I can rent a beautiful house and make it my own so I can’t wait.